Our Hand Made Signature Gift Bag is FREE with Every Purchase! I just received a babyobaby blanket from a good friend. We absolutely love the custom blanket! When I opened the package the sweet gift bag was absolutely adorable and I knew it must contain something very special. You obviously take your craft very seriously. It shows! I just wanted to take a minute to thank you for all the lovely work you do. I especially love your unique gift wrap. I like to give a baby gift to friends and family as soon as I find out they are expecting. It is so much fun to be part of the celebration of this very special time in a couple's lives. 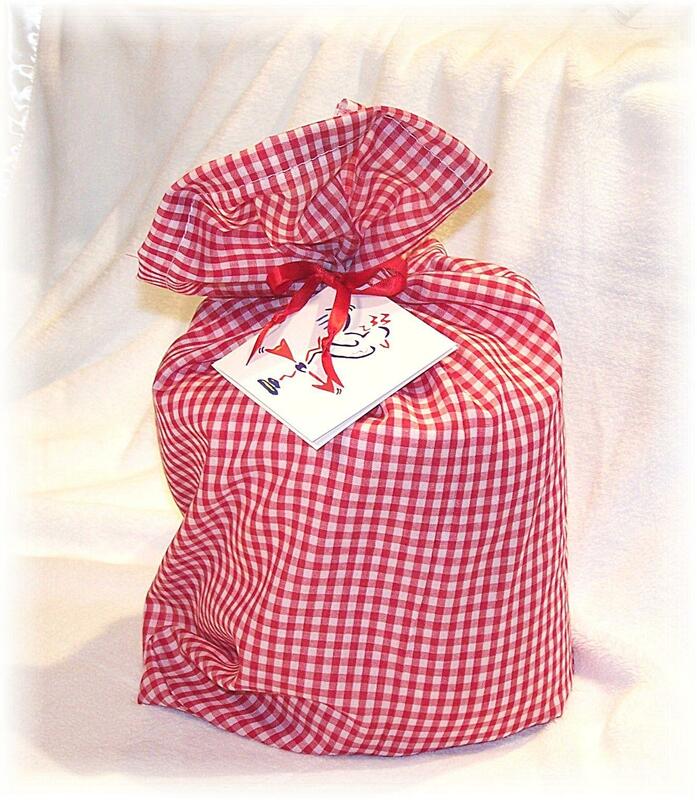 It is so much fun to watch them receive and open one of your little gingham gift bags! Alison, I have been giving your baby gift creations for years. I wanted to let you know how much I appreciate the way you do business. You have always been very friendly and attentive, your creations are always beautiful, they come wrapped in perfection! You need ot know that these "little" details do not go unnoticed and you and your work are sincerely appreciated by gift givers and recipients alke! Hi Alison~ Just wanted to tell you how much I appreciate your "signature" gift wrap. Everyone that sees one of your packages always says how unique and special the gift wrap is and it's FREE- Got to love that! I just love this unique gift wrap. It makes such a lovely presentation. You just know something very special is inside.